Dozens of artists and vendors arrived the morning of Jan. 12 for what they thought was a routine meeting between themselves and the management staff of Artegon Marketplace, Orlando's two-year-old "anti-mall" on International Drive. In hindsight, maybe the presence of Orlando Police officers and bodyguards should have tipped them off something was out of the ordinary. Instead, the group known for its eclectic art sat crowded in front of the Book Warehouse to listen to David Miskin, the chief marketing officer at Lightstone Group, Artegon's New York-based parent company, which owns $2.5 billion in real estate projects. After a few pleasantries, Sina Sutter remembers the gasps in the room when Miskin told them it was over – Artegon was closing. "When he said we had to leave, that whole group of 60 to 70 people got up and started asking, 'What? No! How? Why?'" she says in Spanish. "Everyone was left uncertain. These were people that had invested millions of dollars into this. What do you mean I have to move in 10 to 15 days?" 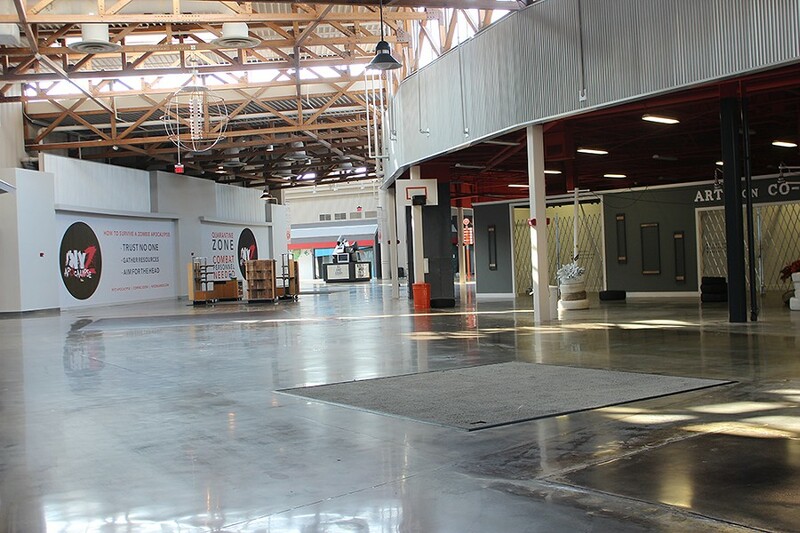 Since closing, Artegon has only released a short statement from its end, saying, "Lightstone will be taking its Artegon Marketplace property in a new direction. While it was a difficult decision to discontinue operations, we are thankful to our team in Orlando, and to our tenants, for their hard work and dedication over the past several years." OPD spokeswoman Wanda Miglio confirmed Artegon actually hired police officers to work there for the closing, though she couldn't immediately confirm how many. Sutter, who opened a fine art gallery called Pinturas that featured her canvas paintings with hand-cut glass, says she felt like she lost family. "Artegon was the ideal place for artists in Orlando because there was nothing like it," she says. "There's festivals and events, but no organization, no institution, had given a space like that for artists to develop their talent and sell their products in a fixed place. And to me, this was more than just a business. It was a way of life. We all were dedicated to what we did, and we were always sharing with one another. It was a space for creation." 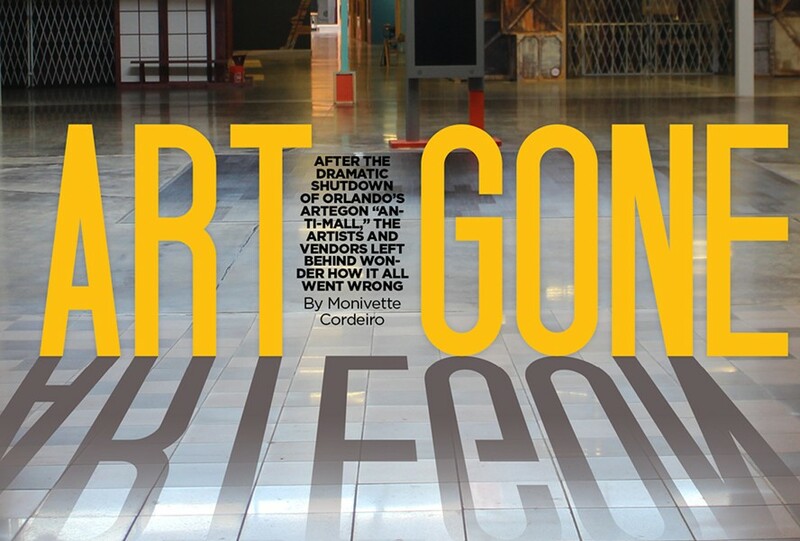 Multiple Artegon shop owners told Orlando Weekly that several times, Artegon told them a new restaurant or business was coming that never materialized. 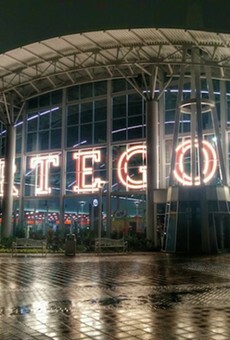 Different owners also complained that they never understood the marketing of Artegon as an "anti-mall" and believed it confused people. OW reached out to Artegon management and the Lightstone Group for comment but did not hear back from either by press time. Still, Snider says he liked his work, and last December he signed a six-month contract with Artegon that lowered his rent slightly. "But I thought I smelled a rat when they negotiated to lower it," he says. "My lease started on Jan. 1 and they gave us notice of termination on Jan. 12. This has cost me approximately $50,000 to $60,000 in lost revenue and additional equipment and decoration I purchased after I renewed my lease. It's inhumane." Artegon was more successful for some than others, like Jeffrey and Kristin Howard, owners of Kick Bright Shop & Buttons. "It just doesn't make any sense that it shut down because everything was better," Jeffrey Howard says. "Traffic was better, money was coming into my business, my neighbor's business. We stuck through the times when Artegon wasn't doing so great and just when it was hitting its stride, they just stopped." Some well-known stores, like Gods & Monsters, have found new locations after the mall closed, but smaller shops like Kick Bright are still looking for a home a month after the shut down. "I'm still booking orders out of the house and pop-up markets, but we can't open a physical brick-and-mortar," Kristin Howard says. "We couldn't afford that type of rent." It may never be clear why Artegon failed, but what we do know is that it's part of the decades-long trend of the declining mall. "Places where you built a mall before have entirely different communities and markets than what was there 50 years ago," Kirn says. "Populations change, income levels change. ... 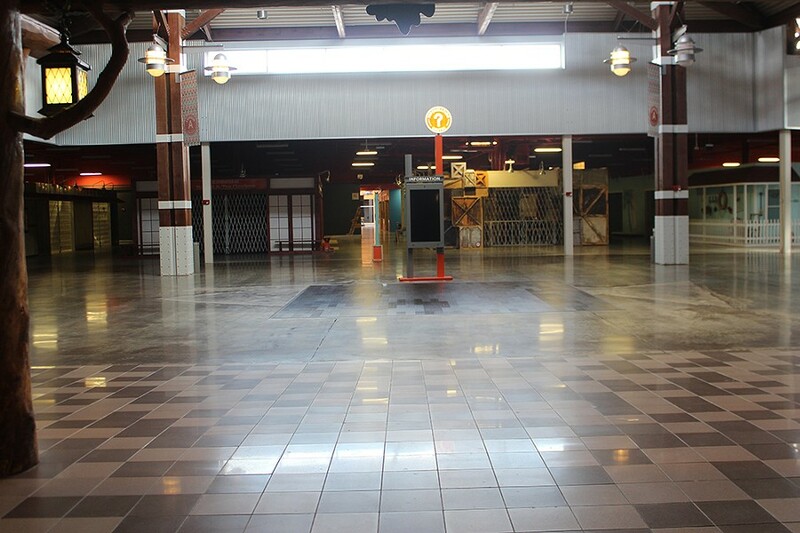 Virtually no enclosed malls have been built in the last five years. That style of shopping is going away." Heidi and Tony Wentzell opened their first business knowing they would be evicted in two weeks. The Wentzells opened the Hoppy Cellar, a craft beer and wine bar, the night of Jan. 12, just hours after other vendors heard the news that Artegon was closing. They were supposed to open at the mall the following week, but after hearing from a friend that Artegon was shutting down, the couple rushed to open so they could sell the inventory they had invested in. On Jan. 26, the Hoppy Cellar closed, along with the rest of the mall, except for retail anchors like Bass Pro Shops, Ron Jon Surf Shop, the Cinemark theater, Putting Edge mini-golf course, Boot Barn, Fuddruckers and Sky Zone. "It was a terrible experience," Tony Wentzell writes in an email. "We were completely misled in bad faith." The Wentzells say they quit their corporate jobs last year to fulfill their dream of opening the Hoppy Cellar and signed a contract with Artegon in October 2016. They were excited about the new venture and thought things were going well. Three days before Artegon announced it was closing, the couple was still receiving emails from their leasing agent about an invoice for the store signs. "Higher-ups within the mall and Lightstone knew that it was going to close and they could have put a stop to us spending more of our money," Wentzell says. "All they cared about was collecting as much money from us as they could before they closed." The couple emailed the senior general manager of the mall to ask for the return of their security deposit and other investments into the bar. The Wentzells say they have not received a response or money from anyone at Artegon or Lightstone. (NOTE: After publication, a member of the PR firm retained by Lightstone replied to our queries with the following response: "Their security deposit refund was in queue for 30 days from the termination date, per their license agreement. Artegon has asked accounting to accelerate this specific tenant so they will have their refund sooner. 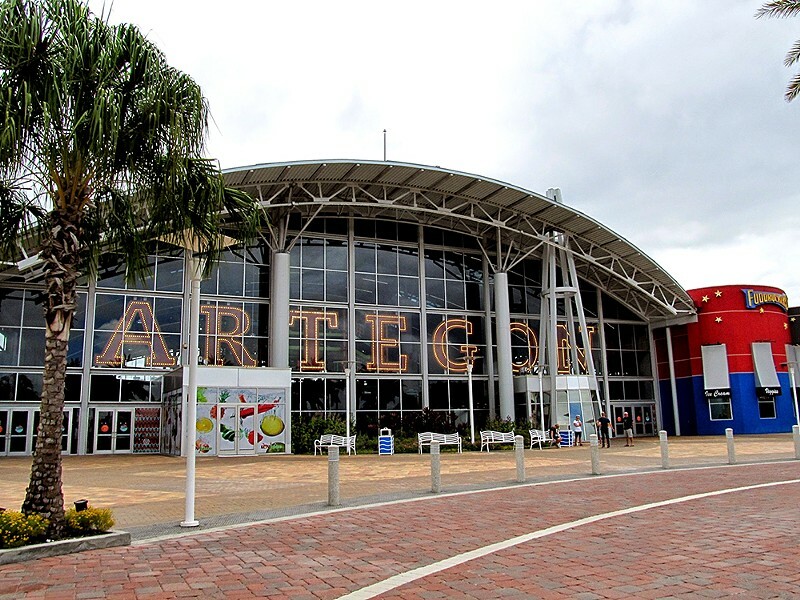 It is not Artegon’s intention to withhold any security deposits, or for that matter any money which they are not entitled to under the license agreements.") 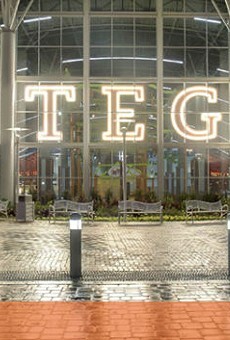 The Wentzells couldn't provide a copy of their contract due to their traveling schedule, but another Artegon contract OW obtained says Artegon was a shopping center that was "undergoing redevelopment," and that if the owners decided not to continue the mall's redevelopment, Artegon could terminate anyone's lease or license via a written notice. The contract says the licensee would have no right to recover any costs or damages from Artegon. Multiple vendors from Artegon say each of their contracts were slightly different, though all of them mentioned a similar policy. Some of Artegon's contracts also differentiate between "licenses" and "leases." "I also personally called the asset manager of Lightstone Group and left him a voicemail and wrote him an email requesting they write us a check for the money we lost since they had screwed us over so bad," Wentzell says. "Of course we never heard from him. I've spoken with attorneys and they all say it's not worth the legal costs to recover the money we put into the business." While the Wentzells have decided not to sue as they relocate their business, other vendors are getting ready for a fight. So far, Sky Zone Trampoline Park, Sky Trail, NYZ at Orlando (a zombie survival attraction that was scheduled to open) and Seed of Joy LLC have filed lawsuits against Artegon's owner, FB Orlando Acquisition Company LLC, a subsidiary of Lightstone Group. Winter Park lawyer Tucker Byrd represents the first three plaintiffs and says he has more clients that plan to file. "No explanation was given to them," Byrd says. "They were just told to get out, and get out fast." In the 102-page complaint filed by Sky Zone, the trampoline park alleges it invested $2 million in capital improvements to its 25,000-square-foot unit when it received a notice on Jan. 12, without prior warning, that Artegon had terminated all leases and demanded vendors vacate the premise within two weeks – meaning the number of visitors was likely to drop precipitously. "[Artegon] attempted to justify its actions by concocting the excuse that the center was still under 'redevelopment,' and thus terminable under the leases," the lawsuit says. 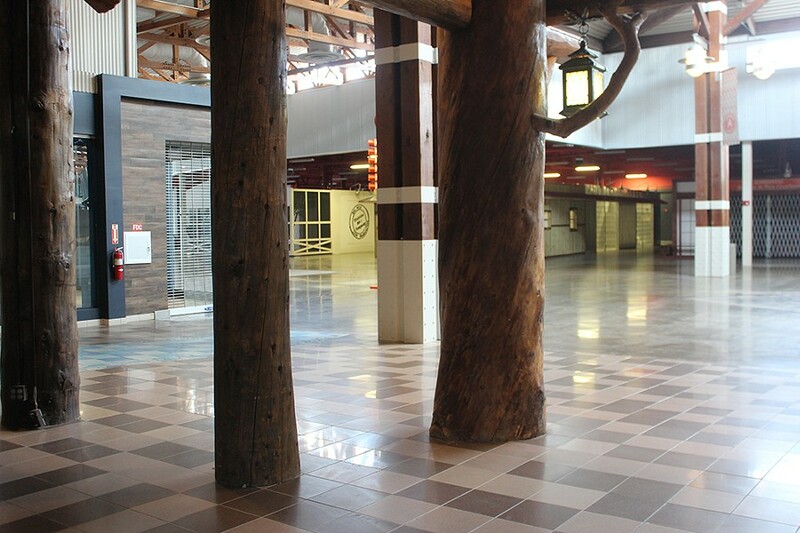 "Defendant had 'redeveloped' the center years ago, even holding a 'grand opening,' to celebrate the repurposing and re-theming of the center, converting it from the failed 'Festival Bay Mall,' into the Artegon Marketplace. "The recent attempt to contradict themselves, all part of a thinly-veiled attempt to absolve itself of lawful obligations under leases with tenants in the center, has interfered with Sky Zone's lease, adversely impacted its right to quiet enjoyment, and caused damages." Byrd says it's pretty clear Artegon was "looking for any reason to try to empty the mall." "Sky Trail, for example, was never told their lease was being terminated and was being allowed to continue, but Artegon locked the front doors," Byrd says. "How can you possibly tell them, 'You can continue to use your space,' but then not let any patrons into the mall?" 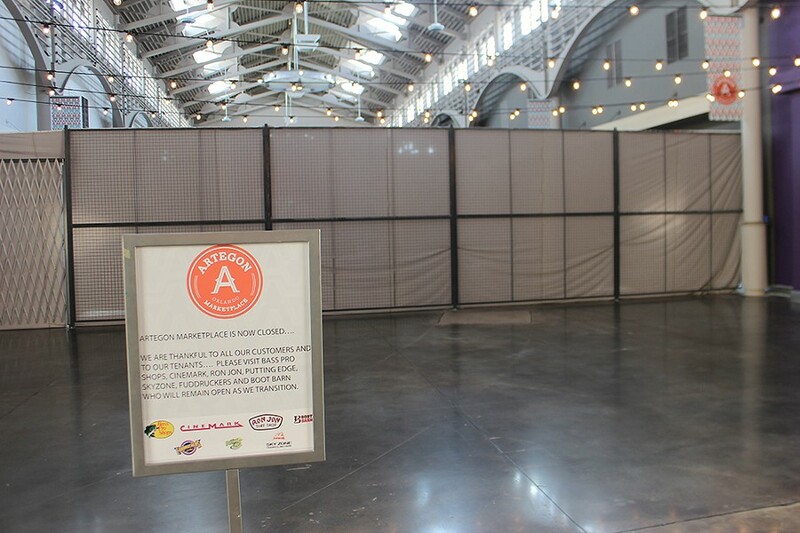 Sky Zone also alleges after it entered into its lease with Artegon, several of the larger tenants that the mall had said would move in, like the Radbourne Center skate park or Berghoff's Oktoberfest brewery, never materialized. By the time Sky Zone opened in 2015, Artegon had sold the Cinemark theater and Bass Pro Shops. The mall "became the constant source of rumors about a potential sale to theme park developers in the Orlando tourist market," the lawsuit says, prompting Artegon to assure its tenants in September 2016 that it would continue operating. "The combined pressures of challenges with tenant occupation, the liquidation of outparcels, and the prospects of reaping a substantial sum from selling off the property, impelled [Artegon] to look for and pursue a strategy to terminate leases in the center, even without justification," the lawsuit says. "Defendant's actions have cast a pall over the center, interfering with Sky Zone's right to quiet enjoyment of the premises, by discouraging customers from continuing to use or book for future use the Sky Zone facilities for events, including charity events and children's birthday parties, many of which have already been scheduled." Byrd says some of his clients are still getting notices from Artegon to pay for this month's rent. Byrd says it may have been cheaper for the mall's owner to pay off breached contracts and sell to a developer than to keep running the artisan mall. "I guess you'd risk losing millions if you can still make multiple of millions," he says. "Maybe they thought we'd give up and go away. But they picked on the wrong group of tenants because we fully intend to protect their interests. Sometimes the underdog does have a chance." Meanwhile, smaller vendors like Sina Sutter and Carmen Lopez don't plan to sue, but are still looking for a space to practice their craft. Lopez misses the little things about Artegon – seeing her friends every morning, getting hugs from clients. She doesn't regret her two years there. "A lot of bad stuff happened, but that didn't interest us," she says. "When you're an artist, you see things differently. I loved showing my clients how I make my bags. People went there to find their creativity and we helped them find it."